According to the latest report by Strategy Analytics, “The SMB market for mobile SaaS will grow from a $6.7 billion in 2012 market to reach $19.7 billion by 2017.” That’s a lot of growth in the mobile SMB part of the larger SaaS market, which Forrester forecasts to reach over $92 billion by 2016. What to call a browserless SaaS model? Mobile SaaS is more about apps than browsers. This runs counter to the original concept of SaaS, which was always browser-based. So the rise of mobile devices is changing the meaning of SaaS, which used to be synonymous with ‘do it in a browser’. In mobile SaaS, you’re increasingly likely to ‘do it in an app’ — in large part because of the importance of offline support on mobile devices that are not always connected to the internet. Forrester once called this the “App Internet: specialized local apps running in conjunction with cloud-based services.” That terminology didn’t stay in use long, but the concept is important. Since the biggest advantage of apps over browsers is when they offer robust offline capabilities, perhaps we should coin the phrase “offline cloud apps” to describe this breed of rich client apps with cloud connections. Formotus is part of this new generation of offline cloud apps. Our SaaS model is unique, however, in that we don’t provide apps to connect to a data store of our own. 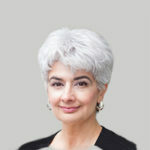 Instead, we enable devices to connect to a wide variety of data systems. When people hear ‘SaaS’ they think browser, and when people hear ‘cloud’ they think data storage. But at Formotus our SaaS model is none of the above. No mobile browser. Our SaaS model doesn’t use a browser but a rich mobile client app instead. 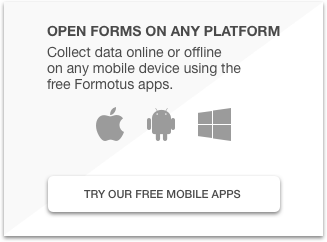 Formotus is available for iOS, Windows and Android devices — get it free from your favorite store. No data storage.We don’t store customer data in our cloud. 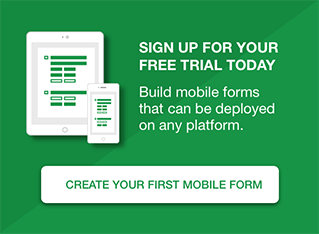 Our customers store their data where they want — in a cloud or on-premises and the Formotus service enables mobile devices to connect to it directly.